For the couple that wants a traditional Kentucky affair with all of the trimmings, they should look no further than One Fine Day. 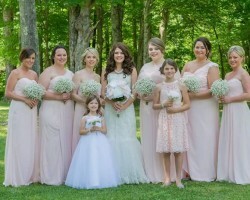 This is one of the finest Lexington wedding planners as they only offer the future bride and groom a highly qualified coordinator that will guide them through each obstacle and decision. Although they are there to assist you, these experts will never impose their views and always let you make up your minds privately as a couple. Why settle for a single wedding planner in Lexington, KY when you can have a whole team helping you organize your ceremony and party? Covenant Weddings was founded by Susan J. Frank to provide couples throughout the state with a fully certified coordinator that still has a touch of the local charm. This is exactly what you get when you hire the services of this company. After your free consultation you will be able to see just how affordable a quality wedding consultant can be. 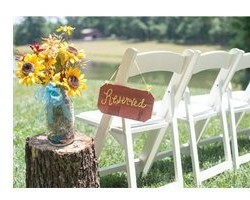 Lexington Event Décor & Design offers wedding planning that will completely take the stress out of the process. You will be able to enjoy the day knowing that the head organizer and the entire team are behind the scenes making everything come together perfectly. Whether you are having a destination ceremony or need to find local vendors, this company is there to do it all. Their flexibility along with making each client feel like a celebrity is what makes this company the best in the area. The reasons to hire Tammy Duke Planning for your big day are simple. This team is flexible and offers completely personalized assistance in every aspect of the process. From going over all of the vendors in the area that suit your tastes to refining the details at the last minute, you will work closely with this team. 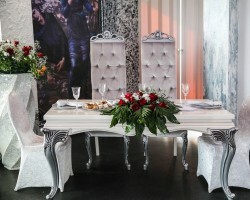 Known as one of the top planning companies in the area for making each event unique is something you will be able to take full advantage of when these experts plan the biggest day of your life.